Well, it took the best part of the season, several false starts, and some wretched luck with injuries, but Yuichiro Nagai is finally off the mark! Thanks in main to the first goals to come from our number nine, S-Pulse progressed to the 4th round of 2009's Emperor's Cup by dispatching Consadore Sapporo 2-0. I call this one "portrait of a hero"
In the few times I've seen him, I've become a big fan of Nagai and I believe he's got so much more to give than he's been able to this year. I was made up to see him in the starting line up and he didn't take long to give Kenta even more headaches when choosing his best two up front. Thirty seconds after the start he was on hand to knock home a shot which back came off the post and grab his first goal in orange. He followed up 19 minutes later after some defensive hesitation from the visitors cost them dearly. 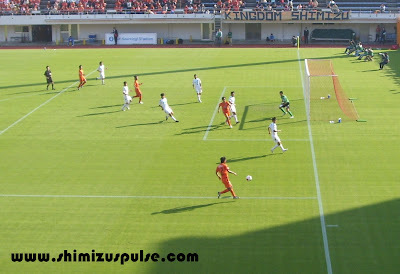 Worrying was the enforced substitution of Iwashita who twice in three minutes was on the end of the away team's strong approach to the game. 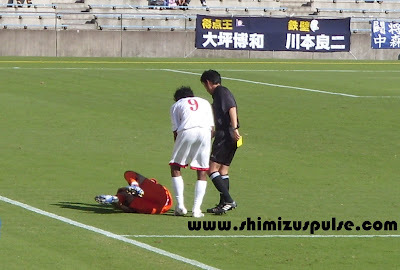 The first time he was clattered to the ground which led to a yellow card for the Sapporo player, and not long after in blocking a hard shot he seemed to jar his foot or ankle and had to go off. I'm still waiting for news from the official site as to the extent of the injury, but fingers crossed for him. He's had an excellent season, capped recently with an international call up, so here's hoping it's just knock. Sapporo were an entirely different prospect to Sagawa Printing earlier in the month, but the result was fairly comfortable. Despite Sapporo's positive and physical approach to the tie, we never really looked in any real danger of not progressing. A late flurry of attacking play did bring a couple of nervy moments, but the result didn't really feel in too much doubt. We now go on to play Ventforet Kofu for a place in the quarter final. The game with Kofu, flying high in J2 and who today beat J1 Kyoto, will be played November 15th at the Tottori Soccer Stadium, home to JFL side Gainare Tottori. Given that Tottori (Japan's least populous prefecture, apparently) is three hundred miles from Shizuoka, I think I'll settle for watching on the box. The quarter final will be against either Albirex Niigata or Meiji University. Meiji Uni pulled off a major scalp today by beating J1 Montedio Yamagata, so they'll be fancying their chances against anyone. Attentions now turn back to the league and the race for an ACL spot. We're away to Kashiwa next Sunday at 6:30pm, a kick off time which pretty much put the kibosh on my hopes of getting to the game. Reysol are nine points off safety with a horrendous goal difference. Anything less than three points for the home team will mean relegation. The current bottom three are pretty much dead and gone, with next weekend surely just confirming matters. So much for a riveting relegation battle. However, the fight at the top remains wide open, so don't forget to tune in next weekend for more J. League fun and games! 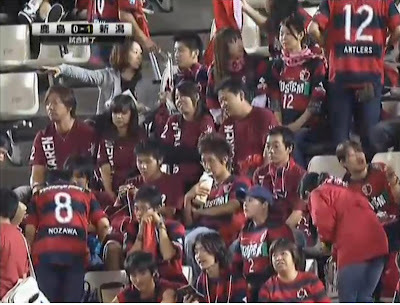 A long personal cam clip of the players coming out, kick off, and Nagai's opener. The goal comes on 4:20. Nagai's second, taken from a personal cam. After a recent run of glory and sitting in first for a couple of weeks, the boys in orange have apparently decided that we don't need to be champions after all and have disappointed us two weeks running. 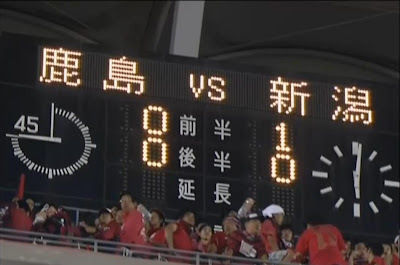 Last week's disaster against Oita, losers of 2009 was nothing short of mortifying and today we presumably felt the need to top that, and literally handed Tokyo victory by scoring their winner for them. Sound bitter? That's cos I am. Less than impressed with today's performance... FC Tokyo aren't that good and we should have been able to step up to the challenge, especially at home. The fact that we didn't and couldn't equalize even with three strikers on the park is worrying. Oka-chan's goal was a beam of glory in an otherwise lacking match. We really need to pick up the pace and fight to make sure we at least get a top three finish and place in the ACL next year. We can do it, I believe we can, it just remains to be seen whether or not we actually will. Still, could be worse. 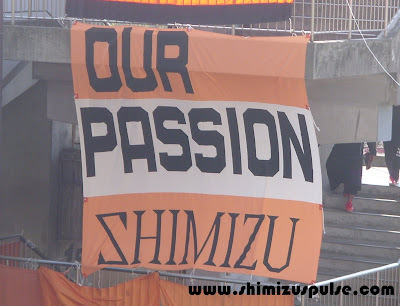 I could be a Hiroshima fan. Losing 4-0 with 5 minutes to go is painful, but not as painful as 7-0 at the final whistle. Ouch. Thinking of heading to Nihondaira on Sunday? If so you better have yourself a ticket. As of this evening, the game has completely sold out. It's the third sell out this year, will be the fourth plus 20000 gate at Nihondaira and the fifth in total. Our average crowd for the year is already well over a thousand up on last season and with the title race hotting up, the remaining two home games will also no doubt see near full houses. And all this despite 'Daira being a pain in the backside to get to / park at / get away from / having no protection from the elements etc. 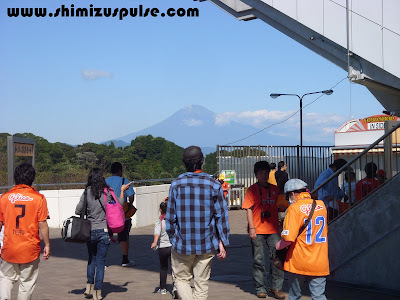 So come on Shizuoka City - obtain a compulsory purchase order on a swath of land near Higashi Shizuoka station, build us a 40000 seater stadium and watch the crowds pour in. You know it makes sense! So glad they stayed up last year. Well that certainly wasn't part of the plan. Nothing short of full points at home on Sunday will be enough to maintain any kind of title challenge. A top three finish is of paramount importance, but let's not drift out of the title race when we have a real chance to add to our trophy cabinet. Right, onto the footer then. Recently we have seen the glorious orange soldiers march right up there into number one, and although a glance at the table this morning puts us in 4th place I am confident that by the end of the day we will have reclaimed our rightful position. Also, after the bitter disappointment of last year's Nabisco cup final, I can't say I have any objections to thumping Oita and helping them on their way to J2. Yesterday was a good day in J1 as far as S-Pa are concerned, Osaka and Hiroshima drawing stopped either team really gaining any ground and Jubilo holding Kashima to 0-0 certainly didn't do us any harm. I couldn't quite bring myself to want Jubilo to win - everyone tells me I should do as they are a "Shizuoka team" but honestly, I'm from Glasgow and old habits die hard - so draws all round were most pleasing. Unfortunately Omiya weren't able to keep Frontale back, but never mind. As long as we get our three points today everything will be just shiny. Recent form has been good - well, last week's game in the Emperor's Cup was a little slow, but with the stars of the show off on international duty these things can't be helped. We picked it up and Nishibe even managed to keep a clean sheet, despite some hairy moments when he failed to actually catch the ball. Still, Kaito should be back today protecting our goal and if Mr Okazaki would like to score a couple of those crackers he got mid-week against Togo then I will be a very happy woman, and will continue to hound my husband to let me call the baby Shinji if it's a boy. Come on S-Pulse, WE BELIEVE - let's win today and win the league! 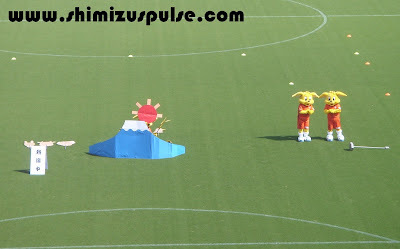 In the final match of 2009's Kirin Challenge Cup series, Japan walked all over Togo in one of the most one-sided international games I've seen for a long time. The final score of five to nothing could easily have been seven or eight. 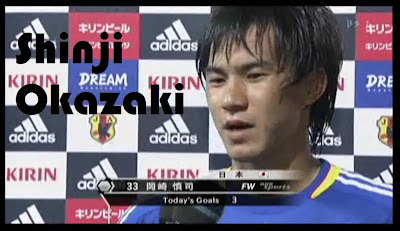 From an S-Pulse fan's point of view, the news of the night came as Okazaki scored a second hattrick in two games. After being rested for the 2-0 defeat of Scotland on Saturday, Okachan roared back into the national team and took his international tally up to fourteen. With Shinji in such pulsating form, I'm hoping he can get another couple next Sunday away at Oita to keep our title push on track. Nihondaira was bathed in beautiful October sunshine as S-Pulse progressed to the Emperor's Cup 3rd round without ever really moving out of 2nd gear. The result was a nice little present on the day I turned 25 for the seventh time. Best view in the league, surely? 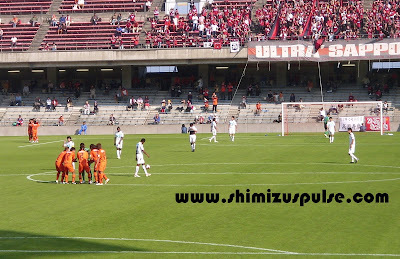 A not-too-depleted team took to the field today against Kyoto's Sagawa Printing. The holes created by national call ups for Kaito, Iwashita and Okazaki were ably filled by Nishibe, Hiraoka and Hara respectively. After a rather patchy first half, (which didn't go unnoticed by the faithful behind the goal) we eventually strolled to a comfortable 2-0 victory. Hara opened our scoring not long after the restart with a brilliant individual goal. The Sagawa defence just couldn't deal with his speedy run deep into the penalty area, and he smashed the ball home with a great finish. We played well within ourselves for most the remainder of the game, only very occasionally feeling anything close to a threat by the visitors. That said, we had to wait till the 82nd minute to put the game to bed. 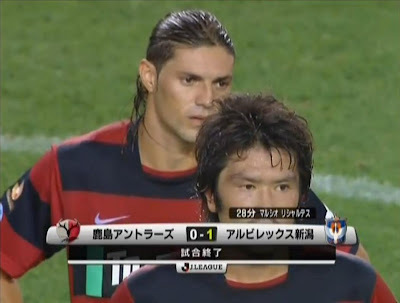 The second came from Paulo after he'd come on as a 61st minute sub. The big man was there to knock home a shot which the keeper could only parry and it takes his total tally with us up to two. He really enjoyed it, and I'm glad I was there to see it! A rare goal for Paulo - enjoyed by all! The win takes us through to the 3rd round to be played October 31st at 1pm when we'll face Consadore Sapporo (victims of Paulo's other goal) at home for a place in the last sixteen. The winner will face the victor of Kobe vs Kyoto. It was far from a testing game today, and a comfortable win, but let's be grateful it was. Several J. 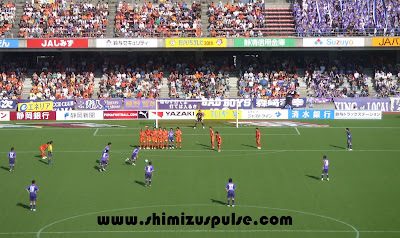 League teams were knocked out by non-league or university team opponents, including Tokyo Verdy, Urawa Red Diamonds and Tokushima Vortis. All part of the magic of the cup, and a reminder to take every game seriously! 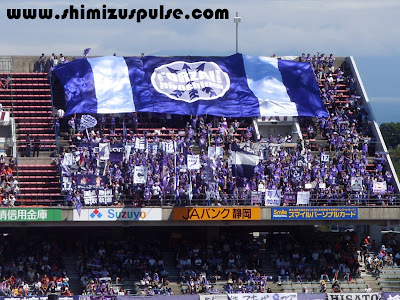 Next home game is in the league in a fortnight against FC Tokyo. This will probably sell out, so if you're thinking of going, get your tickets early! Paulo's goal. You can see how much he enjoyed it! In a qualifier for 2011's Asian Cup, S-Pulse legend Shinji Okazaki scored a hat-trick as the national team brushed aside Hong Kong 6-0. Tonight's haul brings Shinji's international goals up to eleven in seventeen games, and nicely marks the anniversary of his first international cap one year ago against the UAE. 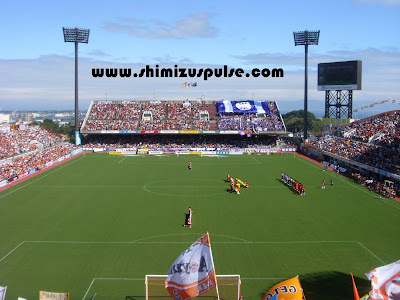 The game was held at Nihondaira, Okachan's home turf, and a sold out crowd roared the Samurai Blues on to an easy victory. For full details of Japan's 2011 Asian Cup qualifying campaign, and the other goal scorers from tonight, click here. Japan have two more games coming up, with Saturday's Kirin Cup game against Scotland sure to pose a harder test than Hong Kong. Best of luck, Shinji, and remember to keep those scoring boots on for the final six games of the season! The twenty-eight man squad for the Japan national team's three upcoming games was announced today. Japan are set to face Hong Kong (Oct 8th @ Nihondaira) in a qualifier for the 2011 Asian Cup, and Scotland (Oct 10th @ Nissan Stadium), and Togo (Oct 14th @ Miyagi), in 2009's Kirin Cup. In addition to Okazaki, Kaito Yamamoto and Keisuke Iwashita have been reward for excellent seasons with their first full national team call ups. 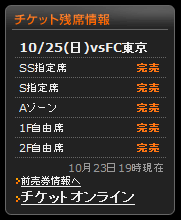 As a result, all three will be unavailable for our Emperor's Cup 2nd round game with Sagawa Printing on October 11th. Their inclusion comes as no surprise to any S-Pulse fan who has watched them both grow in stature and experience as the season has gone on. Both have been instrumental in our 12 game unbeaten run, and have been frequently praised on these pages, so we're made up to see them join their team-mate Okachan in the dark blue of Japan. Good luck, fellas!